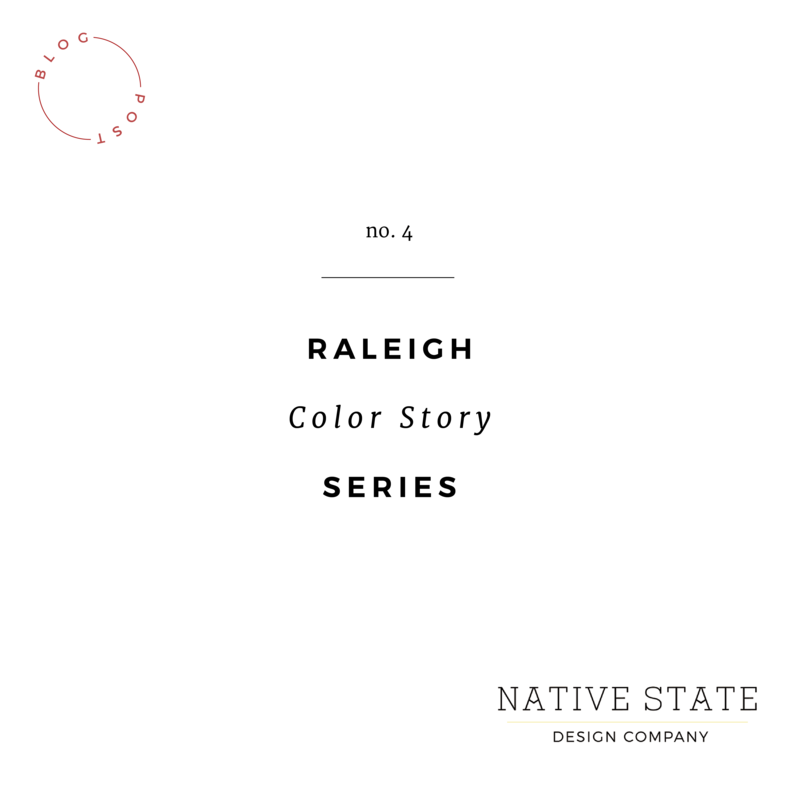 NATIVE STATE | DESIGN CO. Raleigh Color Story Series, pt. IV – NATIVE STATE DESIGN CO.
We’ve come to the final installment of this color palette series, and I saved my favorite building for last. I’ve always had a thing for ghost signs, and this one is no exception. Not to mention the artful combination of pale peach with a faded minty blue and the pop of warm burnt-orange on the trim and brick showing through the chipped paint. This is a color palette that shows the harmony of reserved neutrals with one pop of color. Emotionally, it evokes feelings of security and stability because the majority of the system is based on “safe” shades. The burnt-orange would work well to draw the eye to important call-outs or details in a design without being overbearing or taking away from the stability of the blue-greens and peach-y beige. What did you all learn from this series? Have any more color palette questions that I didn’t cover in this post?